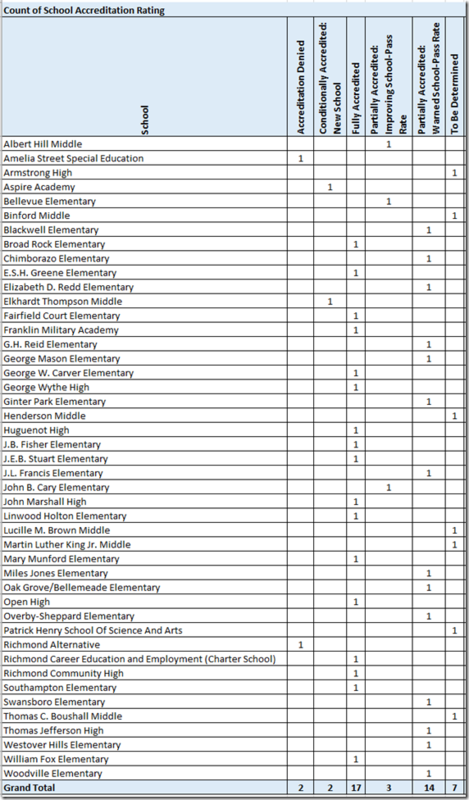 VDOE has posted the 2016 Accreditation Ratings, based on the 2015 test scores. 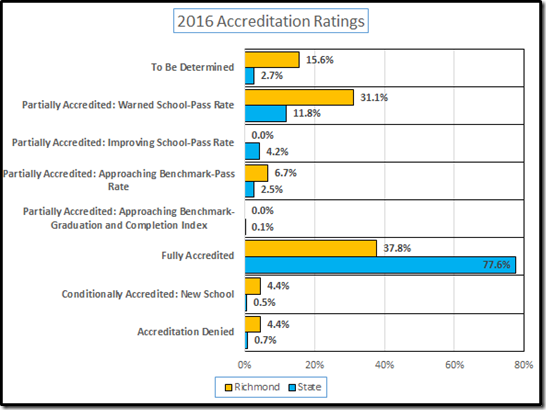 I’ll have more to say later about VDOE’s manipulation of the Accreditation Ratings, to include the newly minted “junior is flunking but by less than before” ratings. 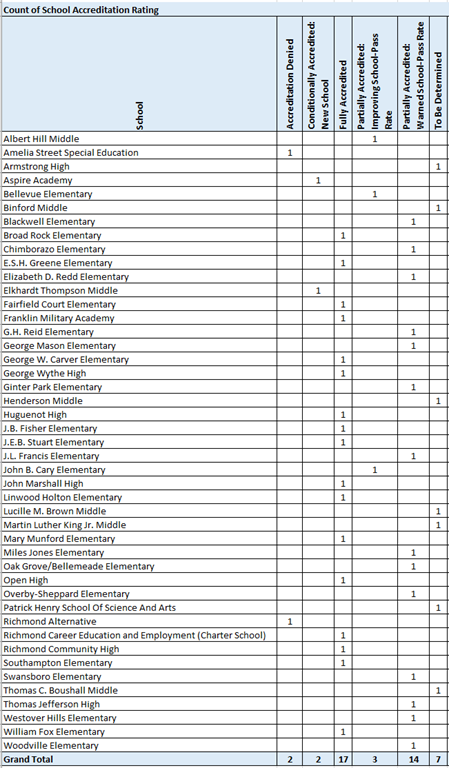 For now, here are the Richmond results. It’s hard to know what all those “TBD” entries mean. I’ll have a look at the pass rates and post them here, soon. 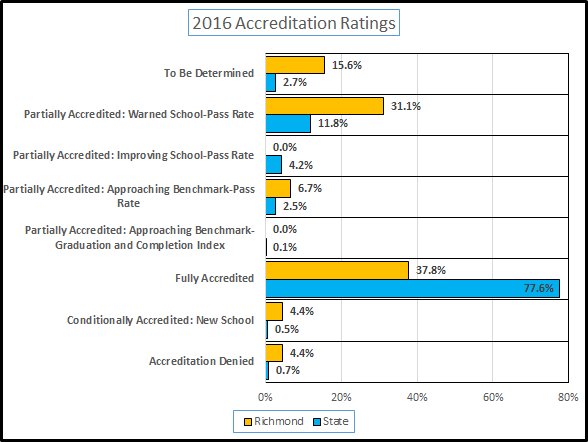 For sure, 38% fully accredited is not good news. And, also for sure, Thompson was denied accreditation last year but the newly-minted Elkhardt-Thompson is getting a free pass.